Exposição de Nelson Felix. 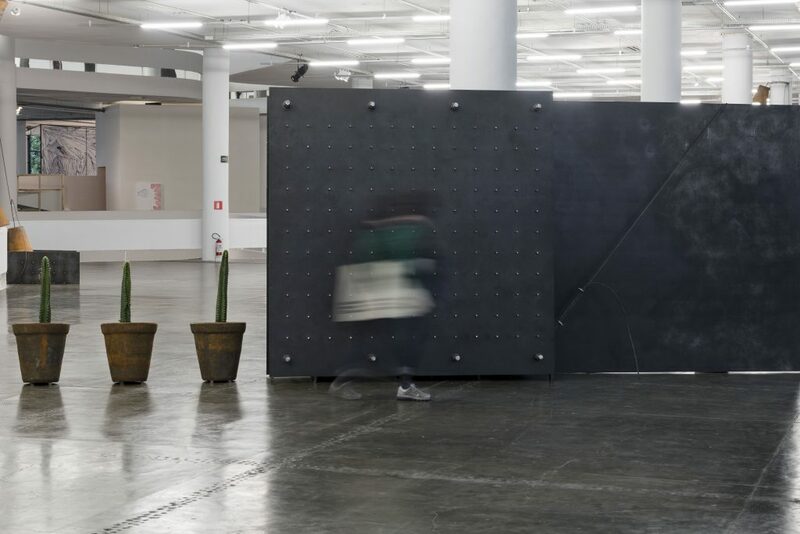 Expografia da 33a Bienal de São Paulo. © Leo Eloy / Estúdio Garagem / Fundação Bienal de São Paulo. This year comes as the crowning of Nelson Felix’s three-decade-long linear oeuvre with a final tripartite circular action titled “Esquizofrenia da Forma e do Êxtase” (Schizophrenia of Form and Ecstasy). Felix compares this grand finale to an opera in three acts: a solo show with drawings and a sculpture at Galeria Millan; an installation at the 33rd São Paulo Bienal; and a twenty-four-hour occupation last month at art-squatting event Ocupação da 9 de Julho in a crumbling building in the city’s old center organized by newcomer Galeria Reocupa. And, to top it off, this year saw the launch of the documentary on his work, “Método Poético para Descontrole de Localidade” (Poetic Method for Decontrolling the Place), directed by by Cristiano Burla. The drawings and sculptures of this small man with a long guru beard are conceived in local and continental narratives that take him across the planet to produce in situ with a strong sense of purpose and place. His extensive travels through Latin America have taken him to an ashram in the Venezuelan Amazon forest of which, he laments, “Such a pity, it was a most beautiful country.” All this vagabonding around the globe is because this is an artist who feels very strongly about the concept. 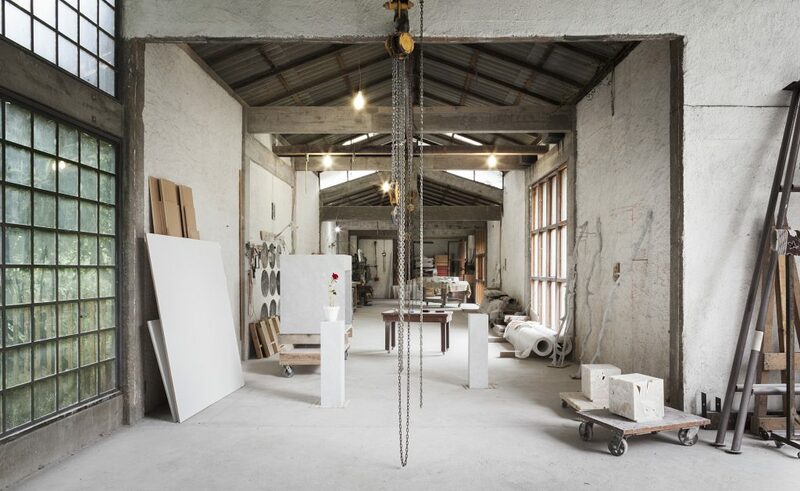 For thirty-four of his sixty-four years, the Rio-born artist who lives isolated in the mountainous region of Nova Friburgo, has been on a relentless quest to laboriously develop a single, prodigious work composed of several interdependent parts that make for one single work. As he sees it, all the solo and collective exhibitions he has participated in up to now are but parts of this grand linear oeuvre that only this year closes in a circle because, as he puts it, “The circle is a beautiful geometric figure.” To achieve the herculean task, his mischievous mind thinks in a large scale. His preferred medium is the globe with its geographical coordinates, solstices and equinoxes. They are tools for his delirious bliss that produces pensive, precise, rigorously conceived works created, as he explains it, as an operatic ode with acts and arias with high and low bursts of emotion. 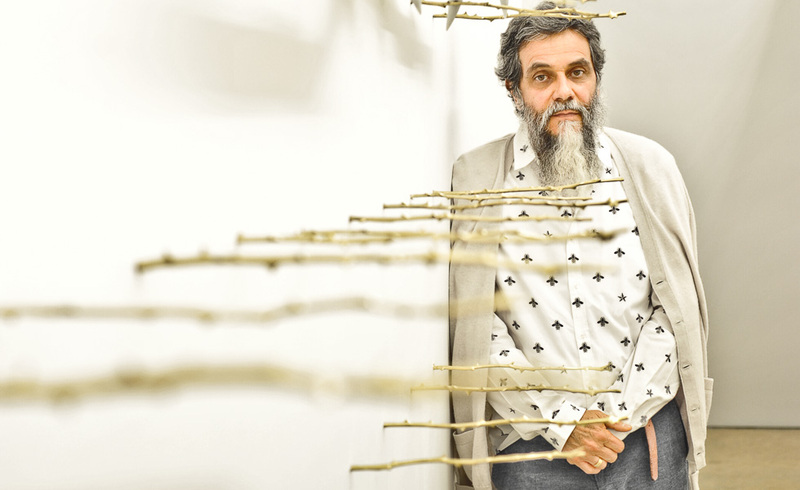 This draughtsman, who prefers to define himself as a sculptor, sees drawing “as the most sacred narrative in the visual arts.” The four groups of drawings at Galeria Millan refer to actions related to the colossal series that begun early in the 1980s with its first part termed, “Cruz na América” (Cross in America). In a combination of naturalism and symbolism, the drawings have an eighteenth-century illuminist aura with touches of gold, crosses juxtaposed with phallic-formed Mandacaru cacti and archaic elements over fragments of geographical maps of the American continent. What also catches the eye in this peculiar cartography is his uninterrupted block-lettered handwriting that composes intricate scientific and poetic explanations very much his own, with some entries that are just a straightforward log of longitude, latitude and distance from his odyssean oeuvre. Your oeuvre is overwhelmingly conceptual and subjective. Before our interview starts off what should we know to better understand it? True, my work bears a strong conceptual and subjective approach. Since the early 1980s I have dedicated my effort to an ongoing sole work project. What you see now in the gallery is the last work of a cycle that began circa thirty-four years ago. When you work in a sequential way like I do, for the idea to be perceived by others one needs at least twenty-five years of cumulative work. I am totally aware that the only person who understood what it was about was myself. The subjective side to my work is highly significant. If it was not for this component, my work would be an additional conceptual exercise and we must bear in mind that conceptualism is a rational issue very well solved by some artists who came before me. 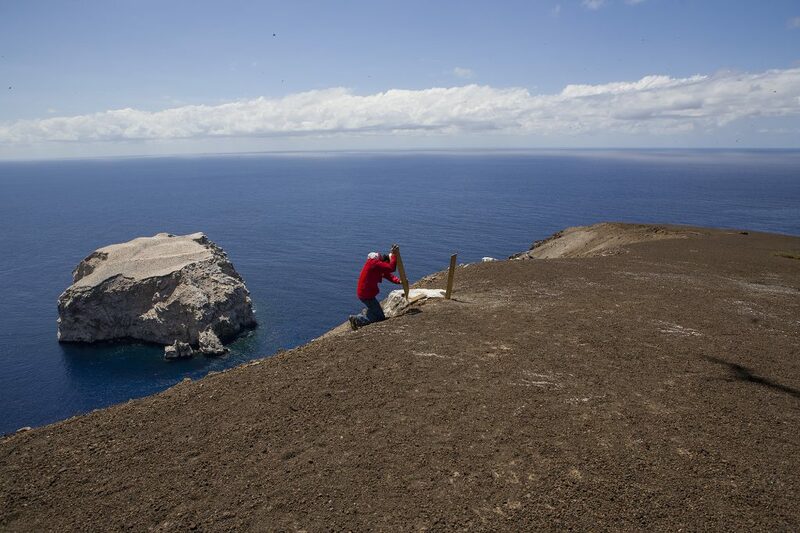 Nelson Felix, 4 Cantos, 2007_2008, site specific at Sagres, Portugal. Besides Duchamp who would you point out? After Duchamp art has to convey an idea, that is his greatest contribution to art. Then came Joseph Kosuth who brilliantly solved the issue of conceptualism with “One and Three Chairs” (1965). 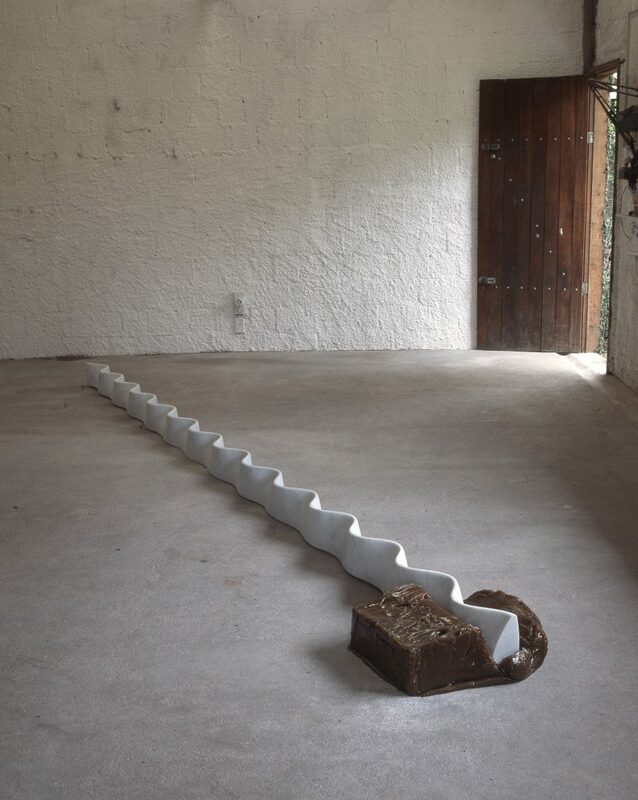 However since conceptual art is rationalistic, to move on one has to embrace poetics because, different from rationalism, the realm of poetics has no boundaries, it is limitless. How do you define yourself as a visual artist? So let’s “fly back.” How do you see the art of drawing? It is the most sacred narrative in the visual arts. When I feel like having a conversation with my creative ideas, I always resort to drawing. 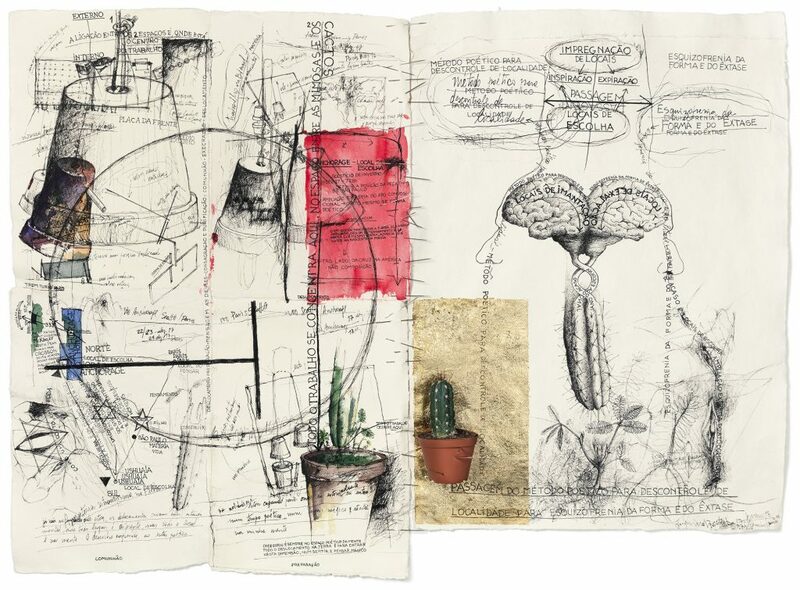 What about the drawings now at Galeria Millan? 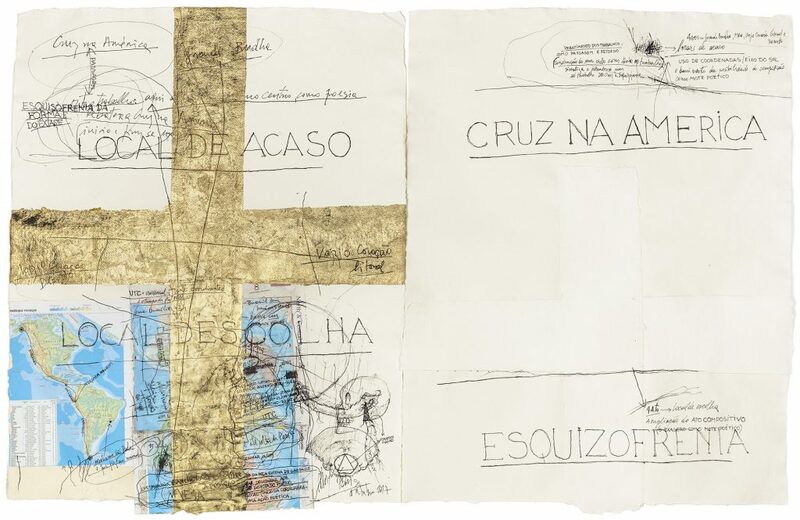 The first work I idealized in the early 1980s was “Cruz na América” (Cross in America). It took me to four locations in the continent in the format of a cross. To the west I went to the Atacama Desert, to the east to Brazil’s coastline, to the north to the Amazon forest, and to the south to the Pampas region. When I began in art I dueled with the idea of composition, which ironically is something that is intrinsic to art. It is impossible to escape from composition in art. I compare it to Bergman’s film “The Seventh Seal” (1957) when the knight plays a game of chess with Death from whom he would never win since no one escapes death. Certainly, I was not the first to pick on composition—the minimalists in the 1960s demolished it by painting in series like Rothko, although the mere fact of painting in series was in itself abiding to composition… So I chose to work with geographic coordinates because in this system I, the artist, do not select, it is the coordinate that makes the choice of the location where I will produce my work. All this to explain that my present work is the reverse of “Cruz na América,” since now I consciously made all my choices. 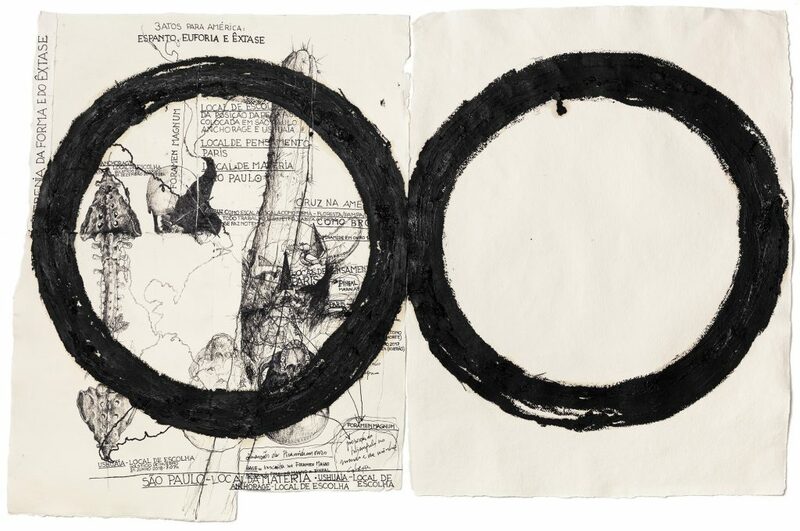 Also because I realized, on my sixtieth birthday, I had spent my life working on a single linear project and felt a sudden urge to close that cycle in a circle. So, this conscious decision now took you to the far north to Anchorage, Alaska, and to farthest point of South America, Ushuaia, in the tip of Argentina, to draw the series you named “Schizofrenia of Form and Ecstasy”? Did you also make a photographic record of this poetic experience? No, I only took one picture in each place. Then tell us about the beautiful portrait of baby Julia. Julia is my niece. I took the photo when she was a baby, kept all the iron pebbles I had placed over her body and repeated the same pose when she was a grown woman nineteen year later with the same pebbles. Now let us move on to some iconic characters of Brazilian art that have crossed your path, for example artist and art teacher, Ivan Serpa (1923-1973). He was a talented, odd man with a hunchback and the first to predict I would be an artist when I was sixteen. He taught about technique with an almost paranoid rigor. Many things I only understood years later, one of them was his distaste for color. I am not very keen on colors myself but Serpa picked on colors, it really bothered him. For example, blue reminded him of toothpaste. 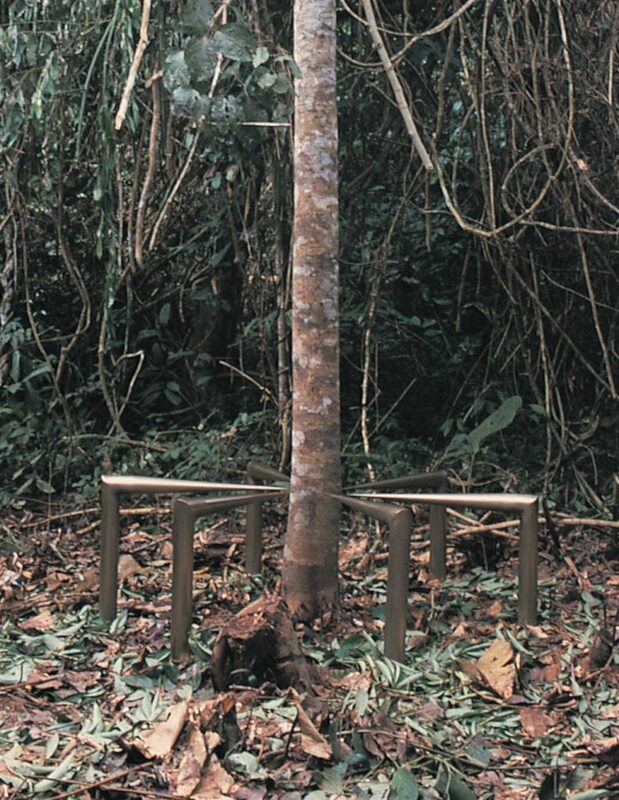 Lygia Pape was also another icon of Brazilian art who crossed your path. 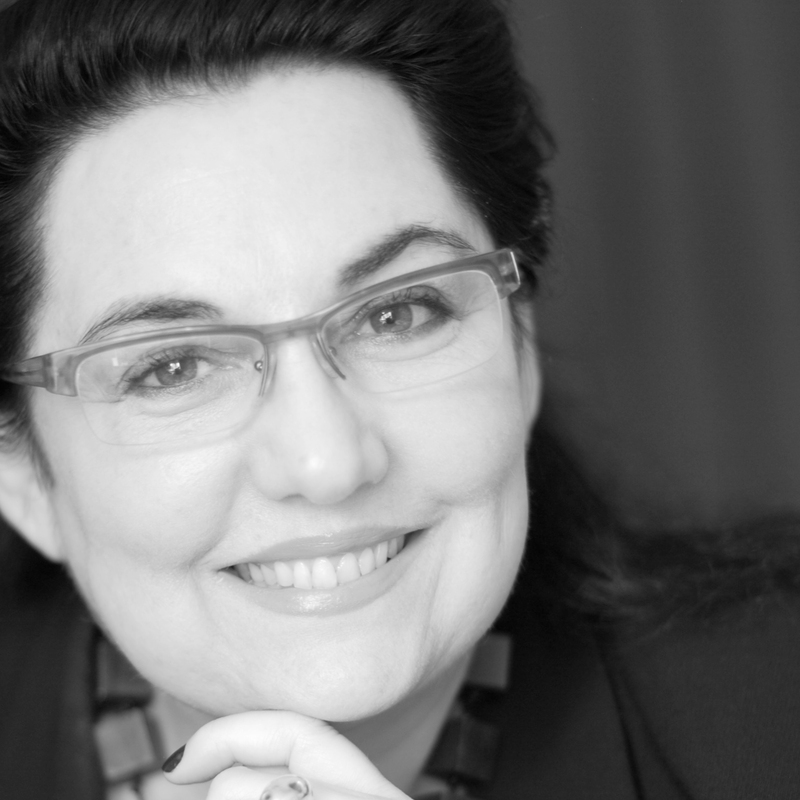 I was very fortunate to have four decisive occasions for me as an artist. My classic middle class upbringing demanded a college degree so I chose architecture because the teaching was far better than at any of Rio’s fine arts colleges and she became my arts teacher. My relationship with Lygia was by far more influential than the one I had with Serpa. She was fascinating, totally free-spirited, very wild. Through her I understood that art could be produced with the most banal materials, a string, a wire. Later on, when I finished college and she was leaving school, she knew I was broke and appointed me for her post at the university where I taught for many years. I grew very fond of her. Lygia opened my eyes to contemporary art. In 1978, your first solo exhibition at Rio’s MAM was cancelled because the museum tragically caught on fire. However the unfortunate incident became a turning point in your trajectory. When this tragic incident happened I had all my drawings ready, so I was left with nothing but to show them around. One of the gallerists I met advised me to go to Jean Boghici (1928-2015) who had just reopened a gallery in Ipanema under his name. Boghici was very receptive and in my second visit he took me to meet art critic Mario Pedrosa (1900-1981) in his apartment. Who was in Mario’s apartment? Lygia! It was the confirmation Boghici needed to fix the date of my first solo that occurred in 1980. Coincidently, twenty years later when editors Cosac & Naify published one of my books, publisher Charles Cosac invited Lygia as one of my interviewers. Ivan Serpa, Lygia Pape, Jean Boghici, Mario Pedrosa, what an introduction to the art milieu, Nelson! Now for minimalism. 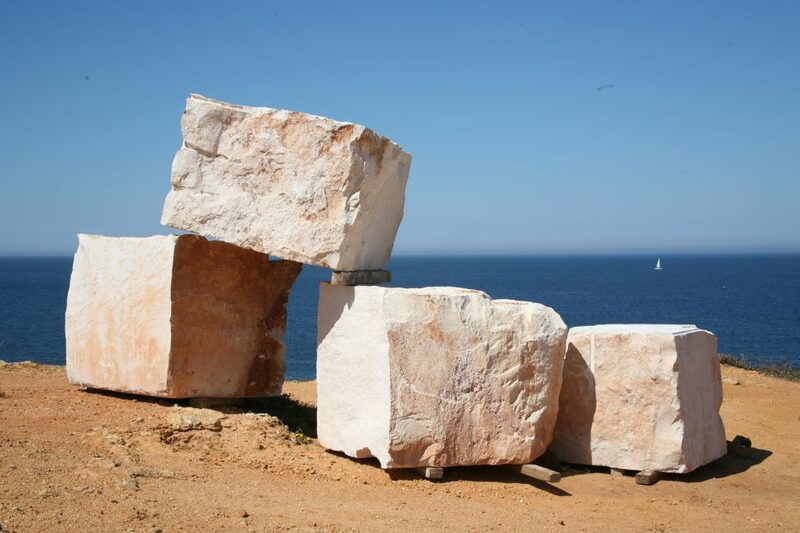 Your sculptures are conceptual and minimalistic. How do you account for that? My father used to love the music of Dorival Caymmi, probably the composer I enjoy the most, so when I was eighteen and learned about minimalism it immediately clicked when I saw a book about Richard Serra. Caymmi’s music was himself playing the guitar to his own voice. In its own way it was minimalistic and lovely. You mentioned Lygia Pape showed you the way to contemporary art, the music of the great samba composer Dorival Caymmi opened your mind to minimalism, so who or what opened you to concept? Poetry. I had a charismatic uncle who was a poet. When I was twelve he handed me my first poetry book. I expected to reach the sublime but it did not happen (LOL), but it got impregnated under my skin and from then on I read poetry. At that time I would go up the favela to hear the samba musicians play on the weekends at the rodas de samba (samba circles) and their love for music fascinated me. They were true artists. I soon found out that in real life they had careers—one was a bricklayer, the other a plumber, etc. Their love for samba showed me that if art is so strong inside you, you have to express yourself even if you have a parallel life as a plumber. This showed me I could have a career and not abdicate my artistic calling. After that I began reading everything about art to arrive at conceptual art, Duchamp and the understanding that after him you cannot be called an artist if you do not develop a solid idea, a concept. In one of your books you say Pollock was significant in your work. How come? When I had a profound dislike for composition and gave it a lot of thought, I found out that the surrealists, dadaists and minimalists had solved the issue as well as Pollock. He allowed the paint to naturally drip on the canvas and there was something beautifully sloppy in his frantic gesture. He probably had given it some thought but was not obsessed about it. The “sloppiness” did not bother him; on the contrary, he solved the issue of composition in a natural way. When I realized that it opened my mind. As a sculptor where does your fascination for marble comes from? When I defined myself as a sculptor and saw everything had to depart from a strong concept, I decided a classical material such as marble was a good start in this direction. The marble had to come from Carrara because that region of Italy corresponds to a tradition with a specific action in a specific place, which links to my insight on geographic coordinates and reinforces the concept. So I have been using it ever since. In a 1988 exhibition at Luisa Strina I explored mineral graphite in block, in powder and in drawing. The diamond and graphite are bound by concept since both are pure carbons with similar formulas, the difference being diamond is carbon in highly compressed state. In the 1980s, I began using rock crystal in my works; some of them I crushed myself with a hammer to obtain a fine luminous powder. At Luisa Strina, one of the sculptures, “Colocar os pés no chão” (To Put Your Feet On The Ground, 1986), was a group of bean-like shaped graphite standing up-straight like menhirs over a fine layer of crystal with a real diamond amidst the powder. The collector who bought it rarely exhibits it complete with the diamond because it usually rolls somewhere hard to find (LOL). Now to wrap up, what is your advice to a young, striving artist? Ask yourself what does time mean for you as an artist. Some things are solved in a wink, others things take time. Do not feel dominated by time but do not try to dominate it. This is a crucial exercise.